Brazil is a country with a large low-income population. It has one of the world largest income disparities, and increasing elite of business people and upper-middle class with significant wealth. However, even considering all the relevant improvements in the past decades, philanthropic levels are still low. Why are giving levels so low? What would have to be done to increase donation levels significantly? 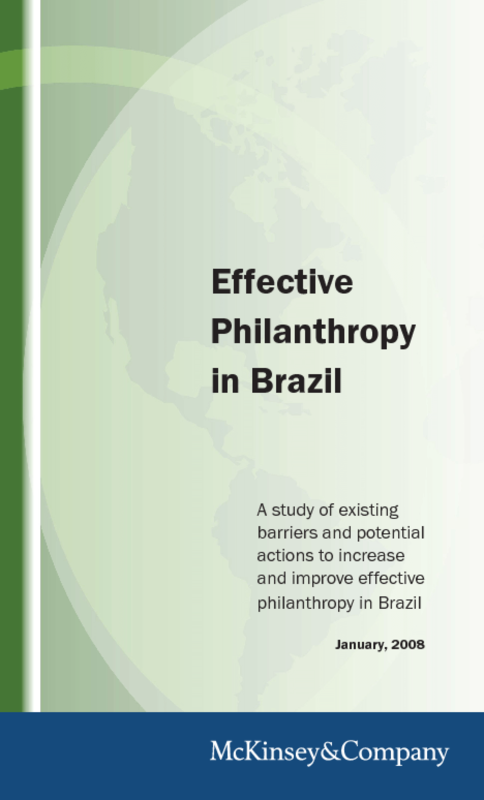 With the aid of McKinsey Social Sector Office, we launched a study on Brazil donation habits and barriers, as part of the McKinsey Global Philanthropy Initiative, aiming at a debate on the topic. This document summarizes the findings and recommendations of our study.